This year we were pleased to announce the SIGGRAPH Academy at SIGGRAPH 2018 in Vancouver. The initial class of inductees was drawn from previous award winners. However, moving forward, our goal is to induct a broader range of individuals who have made substantial contributions to our field. To accomplish this, we need nominations for the Academy from across all of computer graphics. Nominations for the ACM SIGGRAPH Academy may be submitted by contacting the SIGGRAPH Academy Award Chair before 31 January each year. 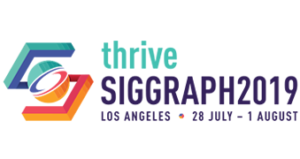 All accomplished members of the ACM SIGGRAPH community will be eligible to be nominated including researchers, practitioners, technologists, artists, designers, and educators. Supporting letters of exactly three endorsers. Endorsers should themselves have achieved distinction in the field. Endorsers will need to have personal knowledge of the candidate's work. Endorsers will provide a brief endorsement statement giving their personal assessment of the candidate's impact on the field. Nominator’s name, address, telephone number, and email address.